The Christina Wyatt Team with RE/MAX Boone Realty is made up of Christina Wyatt and Corey Myers. We specialize in buying, selling, and building. I, Christina, have a passion for real estate and design. As a Realtor, I specialize in helping individuals sell residential property and helping them find the perfect house to call home. 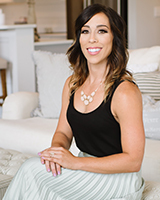 My passion for design lead me to start Bella Mina Design, LLC; where I can design the perfect custom home for you or help you take an existing home and make it your own. Corey, owns Corey Myers Construction, LLC and builds high quality homes; while as a Realtor, specializes in helping individuals buy and sell land. Together with our passion for Real Estate we strive in helping others with their real estate needs.